MOSCOW. May 12 (Interfax) – Russian State Duma Speaker Sergei Naryshkin said Russia will not initiate a discussion on the issue of the lifting of the anti-Russian sanctions. “We, of course, are not going to discuss any criteria for lifting the sanctions. The first step should be taken by the European Union, which took such unfriendly actions on Russia under pressure from the United States,” Naryshkin said during a meeting with members of a delegation of the French senate on Tuesday. As to the possibility of discussing the issue of the lifting of the sanctions, some Western countries’ leaders spoke in favor of considering the “criteria” for the purpose of a possible decision on this matter, Naryshkin said. 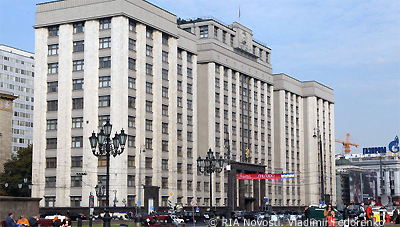 The State Duma speaker said attempts to restrict the contacts between the two countries’ parliamentarians are pointless and they only complicate the solution of the problems that exist in Europe and in Russian-French relations.